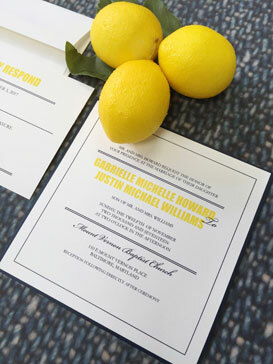 Today’s couples have more options than ever when it comes to wedding stationery. While this gives you plenty of room for creativity and personalization, it can also make the process a little daunting if you’re not quite sure what you want. Relax. We’ve got you covered. 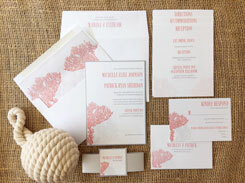 Discovering or designing your perfect wedding invitations is easy with a few simple steps. The worst thing you can do is wait until the last second to start the process of picking out your invites or save the date cards. There’s probably a lot bigger selection than you realize! Begin the process at least 3-4 months before the big day. 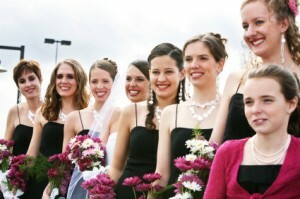 This will give you plenty of time to find the perfect selection in order to send them out 6-8 weeks before the wedding. 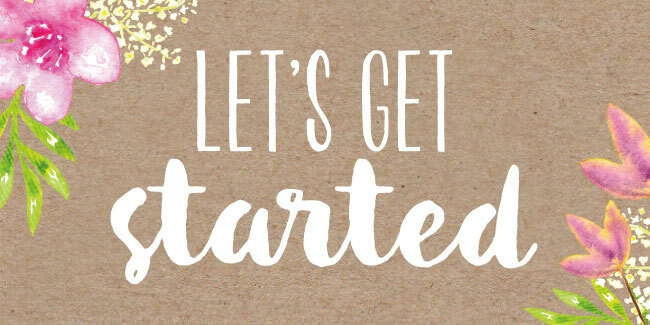 For destination weddings, you’ll want to get started even earlier: Begin looking 1 year before the wedding, and send them out 6-9 months before the wedding. Doing so will give everybody on the guest list plenty of time to make arrangements, and make the entire process much less stressful. 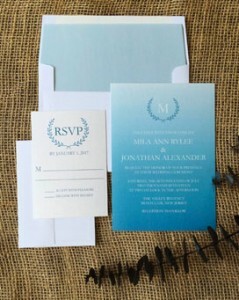 If you already have an idea of your wedding theme or the colors you’d like, then this step should be easy. If you have no idea what you’re going for, take heart. A little browsing will help you nail down the themes, colors, and designs that fit your personality. Wedding blogs, social media, and magazines may offer inspiration. Also, look around your home and the decor you have already. What do you love about it? Consider incorporating some of those aspects in your wedding design. 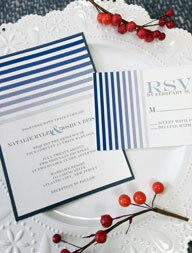 Narrow down your focus to make searching invitations less daunting. Seeing various paper textures and colors up close and in person will give you a much better idea of which ones are your favorites. Before ordering, you’ll need to know exactly how many invitations you need. This will help you avoid costly mistakes (not ordering extras and having to go back to order more later). Remember to count households rather than the number of guests, and add in enough to cover your B-list (usually 10 to 20 extra per 100 to 150 invitations). Knowing your final tally before making a decision might also help you narrow down options. If you’re stuck between a few selections you really love, cost might be the deciding factor. 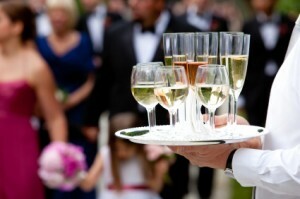 More guests mean a higher price tag, so you might choose the more economical option. 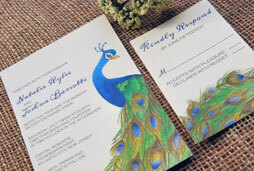 Don’t forget to factor in the cost of stamps for both the mailing of the invites, and the RSVP card. 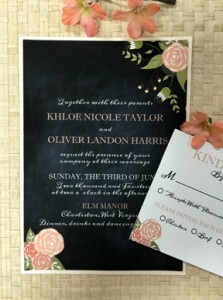 You’ll also need to price professional addressing of the invitation to give them an overall chic appearance. Sometimes you just need a pro to help you figure things out. 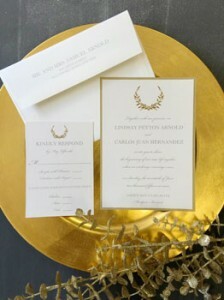 Sit down with a designer and discuss your vision for the big day. Having another eye can really help you narrow down options and pinpoint a design you’ll fall absolutely in love with. 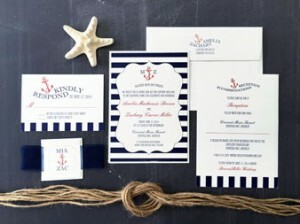 A professional designer can also help you keep things within your budget, and answer any questions you might have about etiquette and other wedding stationery essentials. We’ve got ‘em all right here! 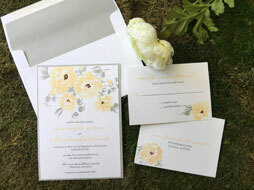 When people think of spring weddings, they usually envision flowers and lush greenery. 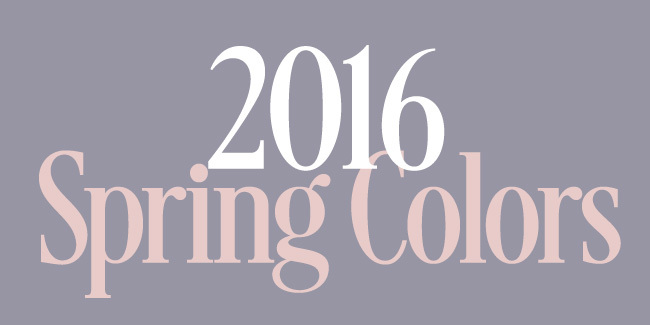 and a rainbow of spring colors to tie them all together! 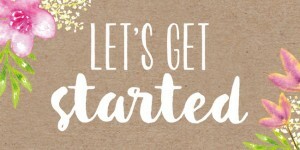 Having a little trouble coming up with just the right idea for your big day? 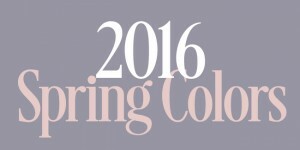 Pantone Fashion Color Report – Spring 2016! Spring doesn’t have to mean all pink and yellow roses (although it certainly can). Many brides and grooms are now choosing colors that mean something to them and are a reflection of their personalities. Fiesta is a fun and energetic color for those who want to say “come celebrate!” for instance. Softer hues such as lilac grey and rose quartz offer a sentimental meaning and a more traditionally romantic appeal. Other colors hold symbolic meaning to them that can be incorporated into your big day. or religious customs. Peach represents immortality in many cultures, allowing it to represent love’s undying nature. Invitations using blue colors, such as our Serenity and Snorkel Blue options are perfect for nautical themes, seaside weddings, or destination weddings. Additionally, blue often stands for security and stability, something some couples may want to incorporate into their themes to represent how they feel for one another. and all your other wedding stationery. Find them here! Read our weekly emails for coupons, promotions and wedding tips & trends. Not yet a member of out mailing list? Click to JOIN TODAY! The Ultimate Wedding Question: Hire a DJ or a Band? Now all you need to do is hire a DJ or a band. Not surprisingly, this can be one of the biggest dilemmas couples face when planning a wedding. The music at a reception can set a critical tone in determining the events of the night: play the right music, and the wedding’s a blast. Play the wrong music, however, and the reception quickly becomes a letdown. Think about the type of bride you are and your musical tastes. If you and your sweetheart love an eclectic array of music that many bands won’t know about, you might want to consider hiring a DJ. If, however, you love nothing more than getting down to the latest hits and the classics of yesteryear, a wedding band can be a viable option. Consider your budget. While a wedding band and DJ can both run at similar price ranges, you’ll be expected to feed your band while they’re at the reception. This could end up costing you a few extra hundred dollars in costs, depending on the size of the band and the price of the plates. However, don’t emphasize cost over quality – the DJ or the wedding band singer is going to be the one introducing you and your sweetheart as a newly married couple. 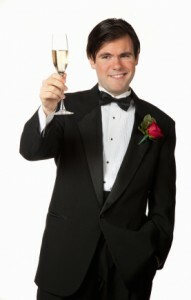 If someone has a wonderful vibe and truly “gets” you as a DJ or wedding band, you should go with your gut instinct. Read customer reviews before hiring any DJ or wedding band. You don’t want to discover any nasty surprises on the night of your wedding – like your DJ likes to go to gigs drunk or the wedding singer who loves to play every Whitney Houston song known to man. If you’re still confused about the issue, outsource it to your future husband; one of the traditional tasks of the groom is to pick the music for the wedding. It’s a great way to check another task off your growing wedding to-do list! 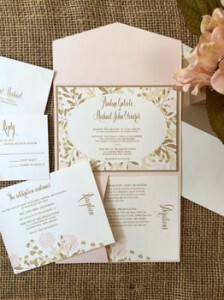 Do You Need to Have a Wedding Program? The buzz around wedding programs often falls into two camps: those people who believe that wedding programs are indispensable for weddings, and those who think it’s pretty intuitive and unnecessary to include. You, on the other hand, aren’t in any particular camp – and that’s exactly why you’re still wondering if you need to have a wedding program. If you’re having a wedding that incorporates a great deal of cultural or traditional ceremonies that your guests might not understand, a wedding program is absolutely indispensable. In fact, any traditional Catholic, Jewish, Hindi or religious ceremony that involves a great deal of prayer or cultural rituals should have a wedding program to provide guests information about what they should say, when they should stand, and explain the significance of the prayers and rituals. 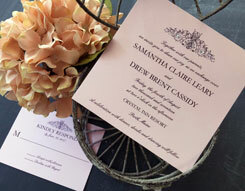 Wedding programs can also provide your guests with the information they need to get to a different location. If your reception is held at a different venue than your ceremony, a wedding program can give your guests the directions they need to arrive right on time. Don’t forget, wedding programs are an appropriate manner in which to formally recognize your bridal party, including ushers, and everyone else who was helpful in making your big day possible. 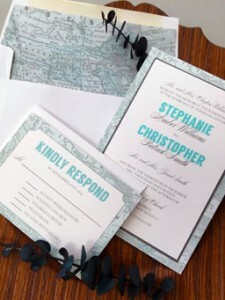 Programs are also especially helpful to guests who want to identify and remember the names of parents from both sides, best man, maid-of-honor and the officiant, so that they don’t have to embarrass themselves if they don’t know or can’t remember the names of key people in the bridal party. The cost of having a wedding program can be high, especially if you have to include a great deal of information about your ceremony and reception. If you’re already on a budget, you might be tempted to reallocate the money reserved for a wedding program to another part of your big day. Some couples are also very adamant about having “green” weddings, which is why wedding programs might be a drawback. Throughout the course of the night, your wedding guests may be tossing around your program or leaving them behind while they tear up the dance floor. This means your wedding could potentially produce a lot of waste, which might not fit into an environmental-friendly wedding. Wedding programs can provide your guests with an invaluable amount of information, including directions to different venue locations and the significance of prayers and cultural traditions. However, make sure your budget allows for wedding programs, as you don’t want to stretch your money more than you have to. If you’d like to have a program, consider printing black & white programs to save money as B&W printing costs significantly less then color printing. 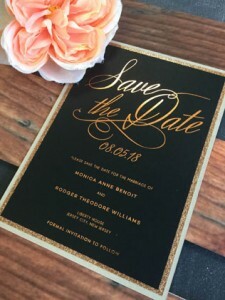 SaveTheDateForLess offers the ability to opt for a color cover with B&W insides pages so you can have a splash of color without breaking the bank. FSC certified papers ensure sustainable forest management and environmentally responsible forestry. In addition to multiple FSC certified papers, SaveTheDateForLess.com also offers 100% cotton rag fine art paper isn’t made from any wood pulp, instead it uses environmentally-friendly cotton fibers. Savethedateforless.com can print a program that you already designed, or you can even have us design one for you to match your invitations and wedding theme. Should I Have the Best Man and Maid of Honor Provide Advance Speeches? It’s a situation you’ve run over and over in your head – your best man or maid of honor standing up to address your loved ones with an amazing speech. And then proceeds to tell that wildly embarrassing story from college when you got stuck in a dorm window…for three whole hours. It’s not exactly a standout moment for your wedding, especially if you’re going for an elegant affair. And with more best men and maids of honor pressured to provide funny speeches, it’s no surprise they’re crossing the line between funny and just plain cringe-worthy. Which leaves you to mull over the inevitable question: Should I have the best man and maid of honor provide their speeches in advance? The benefits of having these crucial members of your wedding party provide their speeches to you in advance are tenfold. The most obvious reason, of course, is your ability to veto any stories that might embarrass or upset you on what’s supposed to be the happiest day of your life. 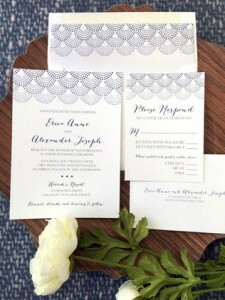 If you see that your maid of honor is gearing up to reveal your not-so-flattering childhood nickname or your best man wants to tell a story that’s not fit for Grandma’s ears, gently remind them that while you think the speech is great, it’ll need to be edited due to elderly members of the audience. It’s a great way to get the edits to stick without hurting his or her feelings. While you may be mulling over the benefit listed above, the drawback to knowing what your best man or maid of honor is going to say at your reception is…well, knowing exactly what they’re going to say! Best man and maid of honor speeches are meant to be touching tributes – and if you start editing the content, you may be undermining the sentiments expressed in the speeches. So how do you decide between these very valid arguments? Simple: consider your audience. If you have a large number of conservative family members attending your wedding, let your best man or maid of honor know that the speeches need to be PG rated.